Your Submission Guidelines | Welcome To Your Pet Space! Your Pet Space needs content from many writers to be able to give a wide range of perspectives on a variety of pets and pet subjects. We also encourage submissions from nonprofit organizations and pet vendors about their work and products. Many of our submissions come from loving pet owners, who simply share their stories with us. So don’t be shy! 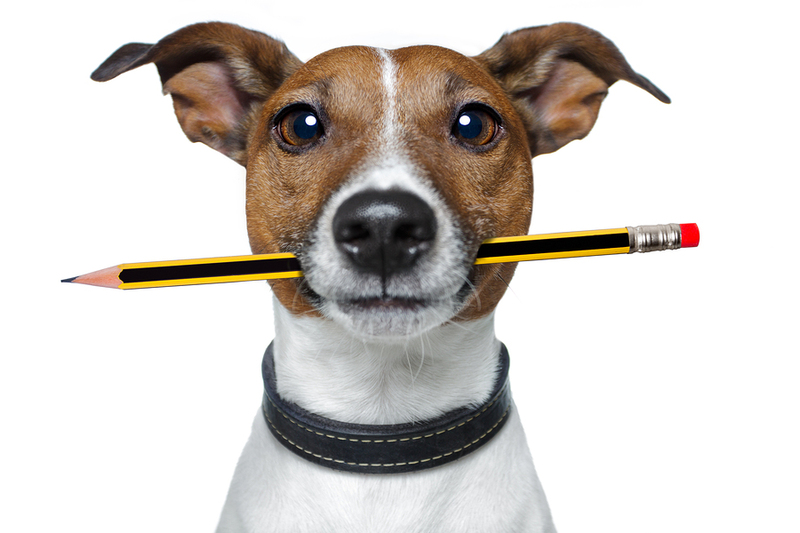 Your idea for an article or review or your pet video could be just what we’re looking for! What’s the difference between a Staff Editor and a Guest Blogger? The answer is the amount of involvement. A Staff Editor is a person who wants to submit regularly (at least once a month). We will post your profile to our Staff Page, allow you to include any links to your website or personal blog, and your posts will be included with byline in our e-newsletter and featured on our other social media, such as Facebook, Google+ and Twitter. NOTE: We pay $20 per article, upon publication, for each article that meets all of our submission guidelines. We are proud of our writers, and also encourage them to re-post their article’s link on their websites, Facebook, Twitter, and other social media for added exposure. We are always excited to accept submissions that are outside our guidelines as well (such as those that are less than 1200 words, or sent without photos), however we will only pay for those that meet all guidelines. By submitting your writing to Your Pet Space, you agree that we may use it for the future release of e-books for sale. When we begin this project, an affiliate program will be created, and all contributing writers will receive commissions as well, based on purchase of these e-books at our site. Your Pet Space helps pet parents, both experienced and new, to learn all they need to know to give their fur, fin or feather babies the best care and attention possible. Our blog posts cover a variety of needs—such as which books and products are especially helpful, profiles of pet breeds and organizations…and we even get time to have some fun along the way! We also love espousing causes for companion animals. • Become familiar with our website and the types of articles we publish, especially for the topic(s) you want to write about. You can see our published submissions here. • Contact Managing Editor Jessica Smith at managerjessica@yourpetspace.info with your idea for the article you want to submit. That way we can let you know if we already have one like it! Please put the words “Guest Post” in the subject line to ensure a faster response. Once your article idea is approved and completed, it can be sent to Associate Editor Doug White at assoceditordoug@yourpetspace.info. All content should be submitted by the original author or their representative. • These need to be original articles of 1200 words or more, as these help Google rank our site as containing high quality content. • Send your article by email as an attached Word document. Only bold the title and any subheadings within the article. • If you have links, include the URL in brackets. • Include a short bio with contact information (if desired) and links to your site (if applicable). • You are responsible for ensuring that the submission does not violate copyrights or other proprietary rights. • We prefer you do not submit content written for YPS to any other site—unless you are quoting only 1/3 of what was originally written. This helps ensure that Google does not list our site as containing duplicate content. • We reserve the right to edit your article, to improve its Search Engine Optimization. • We reserve the right to reject an article for any reason. • We will notify authors within 24 hours if their article has been accepted, and again when it is posted. • All articles are open to comments from readers, which are reviewed before posting. You have the option of responding to comments. • Your content, if published by us, may be used in our marketing or promotional campaigns, and may be reposted on other sites, without notice by us. • We reserve the right to make changes to the website content at any time without notice, including edits and the removal of content or comments. Pingback: Who Is Broken Promises SW?